If the world is a pack of cards, then climate change is the new joker. It has shuffled the familiar patterns, rules, and stratagems of the old in such unexpected ways that one is no longer sure what a good hand might look like. For instance, many, if not all, now tout nuclear energy and big dams, once regulars in an environmentalist’s rouges’ gallery, as trump cards in the crusade against climate change. Burning trees to make electricity is yet another screwball idea thrown up by the climate change circus. Weren’t trees (or forests), that ubiquitous symbol of the environmental movement, supposed to be preserved for their moral, ecological and aesthetic worth? But now US companies are logging trees and shipping them as wood pellets to power stations in Europe, mostly the UK, as climate-friendly substitutes to coal and gas. This is prompted by European Union’s (EU) decision to produce 20 per cent of its electricity from renewables by 2020. Needless to say, generating energy from trees is kosher. Currently at 6.5 million metric tonnes, the trade is estimated to boom to 9 million metric tonnes by 2021. Inspired by the EU example, the US is mulling over amending its policies to include wood-fuel in its renewables basket, while Japan and South Korea too might join the bandwagon to meet their carbon commitments. But does the idea really have a point, or is it yet another instance of clever sophistry designed to protect vested interests by taking the easy way out? 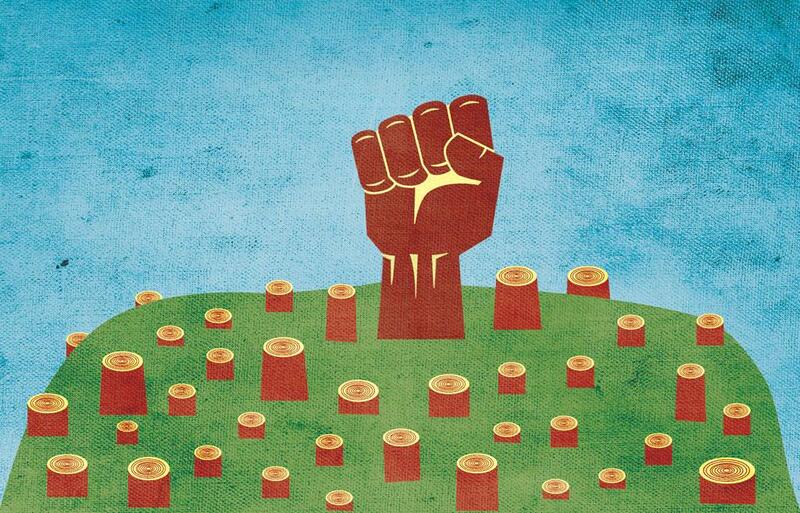 Backers claim that wood-fuel emits much less carbon dioxide than coal or natural gas. Besides, carbon lost when trees are axed is replenished by those planted in their place. This, they claim, makes wood-fuel carbon-neutral. Sceptics, however, argue carbon accounting is a more complex business than it appears. It depends on a host of not-so-amenable factors such as the species being chopped and its successors; the time it would take the successor tree to restore the carbon lost; and, the effect of cutting a forest on the ecosystem’s carbon stock as a whole. They argue that as it takes a very long time to restock the carbon lost, the wood-fuel model will result in a net increase of carbon emissions, thus exacerbating the impact of the ongoing climate change. They believe the world would be better off by investing the same money in inherently carbon-neutral renewables like wind and solar. Detractors also worry that once fuel from trees is classified as carbon-neutral—thus putting it in the same special category as wind and solar along with the attendant sops with respect to tax and regulations—it may unleash a rat race among nations to convert their precious forests into wood pellets. Last but not the least, some biologists fear that felling forests in the guise of reducing carbon emissions may result in an irreparable loss of biodiversity. Proponents, which include the US Environmental Protection Agency, admit that idea appears appealing and persuasive only in the long run, a century to be precise, which is roughly the time it takes for the planet to feel the full heat of global warming. Not incidentally, it is also the time a forest takes to regenerate, and thereby, restore its carbon stock. It also makes economic sense, they claim, as a booming market for wood pellets might induce landowners to plant more trees on their land rather than sell it to real estate, thereby increasing the overall carbon stock. But this argument is too simplistic as it glosses over not only the complex and unpredictable behaviour of markets, but also negates the short-term impacts of deforestation on climate change and species loss in the interim. If one were to read between the lines, carbon accounting seems more like a sleight of hand, and less a guess tempered by science. This shouldn’t surprise us, for in a world besieged by climate change, black art seems to be the only winnable trump (pun intended). There is no way out but to keep calling the bluff on a bad hand when you sense one.